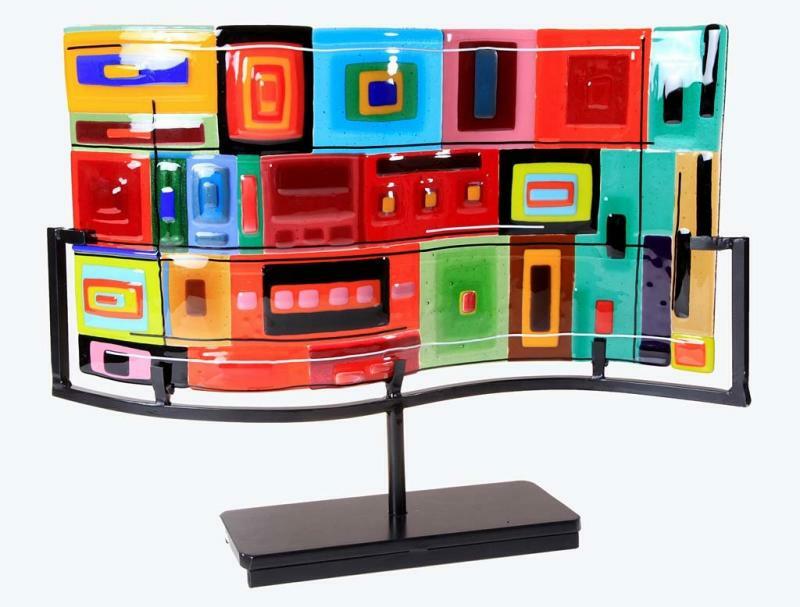 Helen Rudy prides herself on creating beautiful fused glass art. Helen Rudy’s fused glass art pieces are made of multiple layers of opaque and transparent colored glass that are hand cut from sheets. She composes and assembles the glass, which is then melted or fused in a special glass kiln. This process of sandwiching and building up layers of colors and then melting it, creates glass with amazing depth and intensity of color.